Binge drinking is something that seems to have become synonymous with university life in Western countries. As teenagers leave home for the first time, drinking and taking drugs is often par for the course despite gruelling class schedules, exams and deadlines. Students bond over keg stands and hangovers and celebrate every success or failure with a party. For some, this can quickly escalate into an addiction or substance abuse problem and many students leave after their first year of university for addiction treatment. Other students may already be in addiction recovery when they start school. Either way, staying sober in university may seem an impossible task. Staying sober in university while also having fun and making new friends may sound even more impossible. The good news is, however, that it is not as hard as you think. As the new school year nears, we have put together a practical guide to navigating university life while remaining sober. 1. Join a university recovery programme. You may feel that you are a sober outsider among a sea of drunk or intoxicated students, but in fact, there are more fellow sober students than you might imagine. A study by the Substance Abuse and Mental Health Services Administration (SAMHSA) found an increase of almost 142% in university students who checked into an addiction programme from 1999 to 2009 in the US. Due to the increase in sober students in recovery, many university campuses offer a recovery programme for both students and faculty. This is a great way to meet fellow sober individuals, and will keep you on track with your recovery meetings. If there is no collegiate recovery programme at your school, talk to a faculty member about creating one. 2. Engage in fun (alcohol-free) activities. University towns are a hotspot for a wide variety of entertainment and activities – and not all of them take place at a bar. Check local coffee shops for art and music nights, or head out to see a movie or go bowling with friends. Becoming a part of social groups based around common interests can be a way to create even more fulfilling relationships than you would by meeting people at parties. This can include rock climbing, yoga, dance, creative projects… the possibilities are endless. 3. Host a sober party. Other sober students would be thrilled to attend a party that was alcohol and drug-free. Think up some great games, get some food together and find a place on or near campus to host. Because there will be no alcohol or drugs involved, you will have a much easier time getting faculty involved and may even be able to hold it right on campus. If you need help getting a party started, Party.0 is a nonprofit organization run by university students that sets up sober parties around campuses with a great turnout. If Party.0 is not available in your area, or you are keen to set up your own sober party, see this article: Party Planning Tips for your Next Sober Party. 4. Join a team or club. Another great way to meet new people is to join a club, sports team or even help represent the student council. One of the best things about university is the built-in network of interest-based groups available. Whether you are interested in physical activity, social justice or environmentalism there is definitely a club that will suit your interests. Getting involved not only creates more social interaction, but it also helps fill your time which may otherwise be spent dreaming about partaking in the drug or alcohol-fuelled parties around campus. 5. Check for sober bars in your area. With sobriety gaining more popularity among young people around the world, sober bars are starting to pop up more frequently. These non-alcoholic bars usually mimic ‘real’ bars with loud music and dance floors – sans the alcohol. Check your local listings to see if there is a sober bar in your area. Be aware of the type of environment you are going into. Bring a sober friend or someone who knows what you are going through. Always be in control of your own drink. Rehearse assertive ways to turn down a drink. If you think you can handle being at a party where drugs or alcohol are being consumed, but feel differently once you arrive, do not be afraid to turn right back around and head home. No party is worth sacrificing your sober time. Exams, reports and even your busy class schedule can cause a lot of stress. Be sure to keep your stress under control using mindfulness, yoga or other techniques you have learned. Know your relapse prevention plan inside and out – and keep a list of phone numbers with you at all times of people whom you can call when you are having thoughts of relapsing. Boredom is a major relapse trigger. Be sure to engage in fun activities and socialize in order to keep boredom (and relapse) at bay. Do not forget to keep up your recovery meetings. If there is no collegiate recovery programme, try getting one started. But in the meantime, be sure that you are still attending regular recovery meetings in the area. 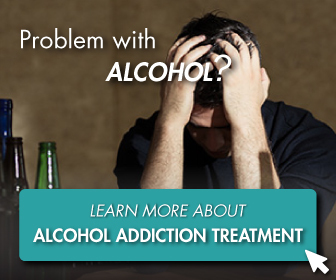 If you or someone you know is suffering from addiction or substance abuse or are having trouble staying sober in university, it is important to seek help immediately. The Cabin Chiang Mai offers a no-obligations assessment for anyone suffering from issues related to substance abuse. Contact us today to get the help you need and deserve.